Why can’t Republicans get things right? 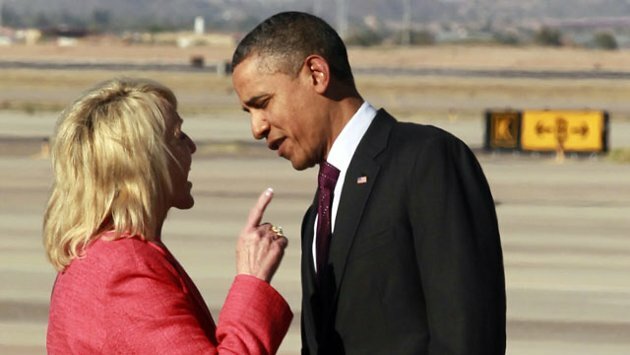 Thinned skinned Barack Hussein Obama didn’t like what AZ Governor Jan Brewer wrote about him in her book “Scorpions for Breakfast“. Obama was met by Gov. Brewer on the tarmac in Phoenix this week and the two had a heated exchange over what Brewer had written about Obama in her book. There is only one small problem… Governor Brewer is doing it wrong. This is how it’s done governor. Notice the rock on Brewer’s finger? The chick must be rolling in it. So I was at the Huffington Post today commenting on an Elizabeth Warren article that was focused on her “It Gets Better” campaign video. When I seen this video I was reminded of a friend of mine who had married a widow. My friend had called me on the phone a few months after the wedding and confided in me about some intimate matters regarding his new bride, namely that she was still a virgin. Still a virgin? I had asked. How could this be, she was married for 4 years to her late husband. For some reason the Huffington Post decided to delete my comment, it must of hit to close to home. The video is a message to homosexuals and people in the GLBT community and the video implies that if you were picked on in school that you’re a homosexual. This is far from the truth, I grew up in the Massachusetts school system and there were a lot of people picking on others because they enjoyed dominating them while exploiting their weaknesses. This poses a few questions. Why did Warren watch as children picked on other children like she claims in the video? Why didn’t she, as a school teacher, do anything about it? Typical liberal, blowing smoke up the butts of the gullible. It will get better all right, it will get better when we throw these communist out of office in November. A Democrat Party Mayor uses brute force and intimidation when dealing with the citizens and church members of El Paso Texas. This video was taken at a city council meeting this past summer. At 1:46 in the video notice the law enforcement official appearing in the background with his hand on his gun. What is he going to do? Shoot the church lady? At the end of the video Democrat Mayor Cook tells this lady that her freedom of speech is over and to take it outside. A recall election is slated for April 14, 2011. I hope the good citizens of El Paso prevail against these Democrat Party tyrants. I’ve been real busy in the meat world and haven’t had time to post. However, after taking a look at the OWS (Occupy Wall Street) movement here’s a quick glance at the people and organizations that are standing with the OWS mob. 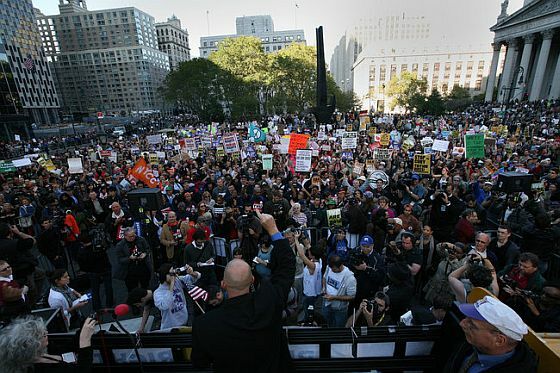 Below is a picture of the OWS mob, notice the number of American flags? I only see one. Here is a recent lists of the organizations who endorse this lawless occupation (I say lawless because they are occupying, not protesting). The Blaze has a complete list of all the godless terrorist organizations as well as the democrat party. These occupy people are nothing more than vile villainous scum and need to be dealt with promptly by the authorities. Did I forget to mention that they also have cooties? I remember when I was in 7th grade our Social Studies teacher ran an educational documentary film about the Soviet Union. The year was 1977 and the film, if I recall correctly, was titled “Behind The Iron Curtain”, I don’t recall to much of that film and I probably don’t even have the correct title but one thing I do remember was a segment about the “Secret Police”. The documentary was filmed on a street corner somewhere in Russia, a man, hiding his face from the camera spoke in whispers about the harsh life that he had living under the Soviet regime. Occasionally looking over his shoulder as to be careful this man spoke of people who friendly towards the communist dictators and he told stories of how they would take notes and pass them on to government officials known as the Secret Police, giving names addresses and details of conversations that they had with people who were critical of the Soviet government. These unfortunate critics of the Soviet government would find themselves being visited by KGB and other officers and were sent to jail or.. all to often.. just quietly disappeared during the night. These informers were neighbors, co-workers, acquaintances and yes..even family members. Fellow Russians who would inform the Soviet government of who was speaking out against them, this caused millions of people to live in fear of what they might say and who they might be saying it too. Well my friends it is sad to say that this has now come to America. Obama’s re-election campaign “Obama For America” has put together this nifty website were people could inform the regime of who is critical of them. They ask for details of the criticism (attacks as they call it) and want to know the sources (links). They also provide a “Report” button to send the information. Report an ‘attack’ is the exhortation, my question is simple. What are they planning to do with this information? This past weekend (as you probably already heard) Jimmy Hoffa Jr. had a few things to say about some fellow Americans while giving a warm up speech before Obama was to speak during a campaign rally in Detroit. Of course the liberal spin is vote them out but Hoffa didn’t say that. Immediately after Hoffa’s speech Obama said that he was proud of him. While over in Ohio Joe Biden refers to the same group of Americans as “barbarians”. This is the same group that Maxine Waters (Democrat Nationalist Socialist) from CA told to go to hell. As it stands at this moment there is no retraction or rebuke coming from the White House or the Democrat Party establishment in regards to this violent rhetoric, it seems that the battle (no pun intended) lines are being drawn for the 2012 election and it will not be pretty. I beleive that our country has entered a cold civil war that is being warmed up by these democrats, specifically Obama himself and it is just going to get worse. BTW I’m no longer an independent voter, I plan on registering republican and aligning myself with the tea party. May God have mercy and bless our nation. MORE HEAVY BURDENS FROM OBAMA. 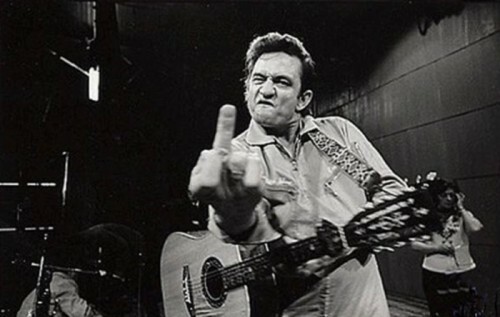 via Guitar Frets: Environmental Enforcement Leaves Musicians in Fear | Postmodern Times – WSJ.com. Why is the economy doing so bad? Because businesses are under constant attack from Obama and the democrats, that’s why! The day Obama leaves office American business owners will breath a collective sigh of relief and the economy will begin to grow.